Category B foreign workers can enter Shanghai without first obtaining a Notification Letter of Work Permit and a Z visa, as was previously required. This will result in an easier application process and shorter lead times for qualified foreign nationals. Foreign nationals classified as Category B foreign workers under the Unified Work Authorization System can enter Shanghai without first obtaining a Notification Letter of Work Permit (NLWP) from the Shanghai Expert Bureau and a Z visa from a Chinese consular post abroad. Without these processes, there are fewer out-of-country administrative steps in the overall work authorization process. Submit documents required for the NLWP with their in-country Work Permit application. Other documentary requirements remain unchanged. This policy is being piloted in Shanghai, and may potentially expand to other large cities such as Beijing, Shenzhen and Guangzhou. Shorter lead times resulting from the simplified in-country work authorization process should result in faster start dates. Although the new policy facilitates Category B applications, applicants who choose to use the in-country process should ensure they obtain a Work Permit before their entry visa expires. Otherwise, they may need to exit and re-enter China with a valid entry visa. This alert is for informational purposes only. 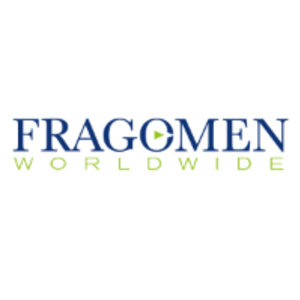 If you have any questions, please contact the global immigration professional with whom you work at Fragomen or send an email to CNInitiations@fragomen.com.